As soon as the sunny and warm days of summer hit, I take out my flirty floral dresses and my sandals. Floral dresses are one of the best items you can have in your wardrobe. I love dresses in general, because they are a whole outfit and make you look put together in a second. But floral dresses are special – the vivid and colourful patterns will not only match the weather, but also flatter you and brighten your mood. 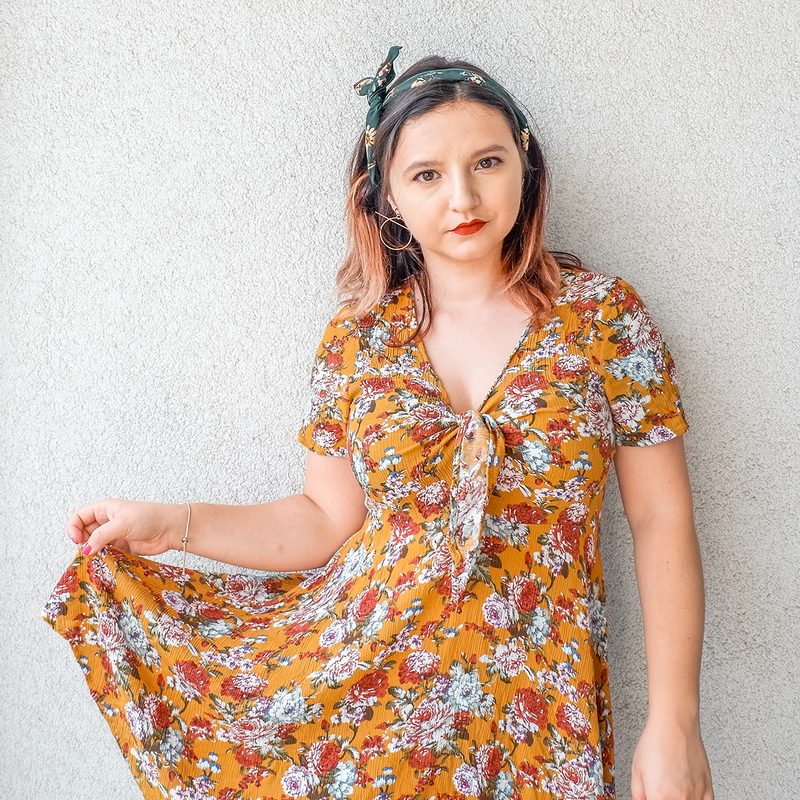 This summer, I am wearing on rotation two of my most recent acquisitions – two lovely floral dresses. I am pairing them with fun accessories such as dainty earrings, delicate bracelets and colourful headbands. If you are in the mood, don’t forget about a bright red lipstick to take your outfit from fun to classy. Yellow is such a summer colour, I cannot bring myself to wear it the rest of the year! For this look, I did not want to go for a full yellow outfit, so went for a green hair band, unique earrings and a lovely adjustable bracelet. Red used to be one of my favorite colors. It is bold and can be easily worn any time of the year. Even more perfect in summer; with a fun yellow headband and pineapple earrings and bracelet for exotic vibes. Before leaving, I also have for you a discount code for your dress shopping! Use “ZFTina” for all orders over 25$ to save 3$, orders over 50$ to save 6$, and orders over 100$ to save 12$! What are your favorite items to wear in summer? Do you love wearing cute & flirty floral dresses? PLEASE NOTE: I received the clothing from Zaful in exchange for this post, but rest assured that all opinions are honest and my own.